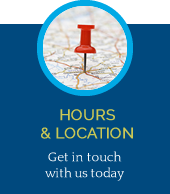 At Family Advantage Chiropractic, your health is our primary concern. 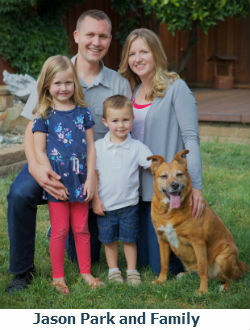 Your family comes first at Family Advantage Chiropractic, and you’ll know that from the first moment you enter the offices of Santa Clara chiropractor, Dr. Jason Park. 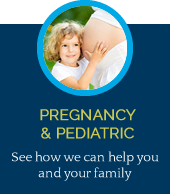 We stand ready to help everyone in your family enjoy wellness and a more fulfilling life. We help pregnant moms, babies, children, as well as people of any age realize their body’s potential for maximum expression. 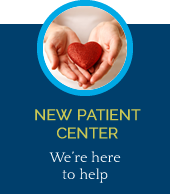 With us, patients experience care that’s different and more helpful than anything they may have received in the past. We take the time to answer your questions and design a wellness living plan for each person in your family. Your children will love our kid-friendly lobby where they’ll find plenty to do before the doctor meets them. Tables, an art wall and TVs that offer educational and entertaining programs will help put them at ease and allow you to concentrate on paperwork and other administrative matters with our staff. Dr. Park has a young son and daughter of his own, so he understands their emotional needs and what it takes to bring children comfortably into an office treatment environment. You can relax in the knowledge that his training and experience allow him to help your child with challenges such as ADD/ADHD, autism and other sensory processing disorders. He can also help with more common conditions like colic, ear infections, allergies and asthma. Dr. Park was extremely thorough in his explanations of the entire process and what I should be expecting in my treatment. His knowledge and experience made me feel comfortable instantly nice to know my care will be in good hands. I went to see Dr. Park for a chronic back problem. While I have seen many chiropractors over the years, Dr. Park was the first one to give me a full evaluation and comprehensive treatment plan. I finally feel like there might be a path to treating and maintaining my condition. He is friendly and straightforward. Glad I found Dr. Park! I was very impressed with Dr. Park from the first telephone call to set up an appointment. He is very helpful, patient and knowledgeable. He is easy to talk to and answers all the questions I throw at him honestly and professionally. I was greeted very professionally and with a smile. Everything was explained to me by Dr Park. I started feeling better immediately from my first visit. I would recommend everyone to start going to Family Advantage Chiropractic. I’ve been going to Dr. Park for 5 years now. Always in the best health! Love it! Give it a try and you will be moving freely and healthy. Dr. Park is great at listening and has good general health suggestions too. We always enjoy catching up and talking about our kids. He is a passionate family doctor who helps my back feel better every time I visit! Dr. Park and his amazing staff have done wonders for my spine after a self inflicted fall left me unable to put pressure on my leg. After the first visit, I felt better. I truly have more energy and feel better than I have in a long time. I’ll be coming back. Dr. Park is an excellent health care provider. He has a holistic approach to my overall health, and has been instrumental in solving my issues. Two years ago, I couldn’t walk 50 feet without excruciating, debilitating pain from an L-5 sciatica. Within 2-3 weeks, Dr. Park had me pain-free, and I have remained so, ever since. Got my rib back in place in no time. Dr. Jason Park is a wonderful chiropractor. He takes the time to explain to you what he sees needs to be taken care of. Contact him if you are in need of a chiropractor. Dr. Park has been my chiropractor for nearly 6 years. He and his staff have always been incredibly friendly and professional. Dr. Park thoroughly evaluated my situation then recommended a comprehensive treatment plan for both of us. Over the years, Dr. park has helped to reduce the toll of long hours poised over keyboards and stress. I highly recommend Dr. Jason Park, go see him and he’ll help you too. Dr. Park and his staff are so family friendly. I have struggled to find places in Silicon Valley that welcome my whole family. It is so wonderful to have found this practice. 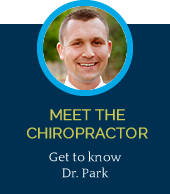 Dr. Park is a great listener and asset in your wellness. He encourages you to be active and to take a role in your own health and well being. I love that he works with you so you don’t put your activities on hold. You can continue with activities while being treated and work on the areas that need the work to get better.